AMP Academy is dedicated to providing a top quality facility in safety, cleanliness, equipment, and faculty, in which athletes can challenge themselves and others both physically and mentally. We strive to raise the confidence, self-esteem, and critical thinking skills of all our members through the gift of physical fitness, expressive movement, and the rewards of living a healthier lifestyle. 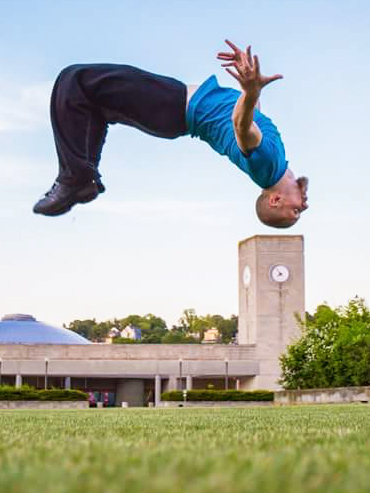 This program is an introduction to common parkour movements, technique, and theory. All levels of fitness are encouraged to try this group-style class that focuses on obstacle training. Capoeira is an Afro-Brazilian martial art that incorporates music, dance, self-defense, and acrobatics. Let one of our instructors work with you one-on-one or with a small group to achieve your fitness goals. 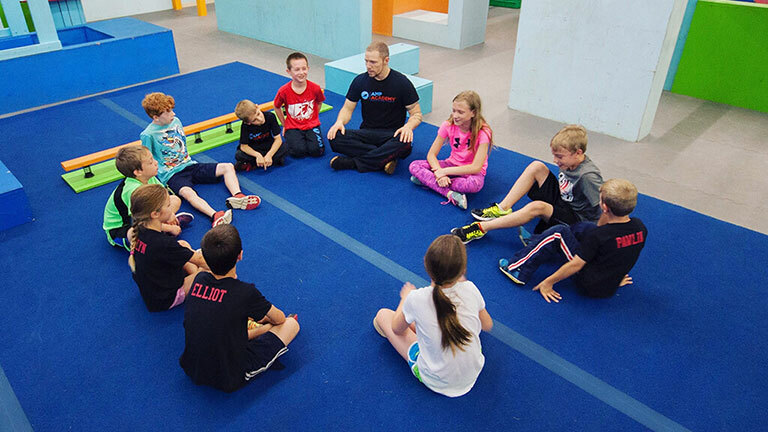 Please click the link below to sign our online waiver and sign up for birthday parties, classes, open gyms, and events. All participants under 18 are required to take at least one class before being allowed to participate in open gym. For legal purposes, every child under eighteen years of age must have a parent or legal guardian present in the facility for their first visit to sign the liability release, photo release, and consent to treatment forms prior to their being allowed to participate in any classes, training and/or open gym. Note: Nobody has the legal authority to waive a child’s rights except that child’s parents. This means that you cannot sign the waiver for a child that is not your’s. Or rent our gym anytime! *Anyone under 18 years old MUST take a minimum of 1 class or have skill assessed by an instructor before being allowed to attend open gym sessions. **During all CLOSED hours, we are available for Birthday Parties, Private Lessons, Personal Training, and Gym Rental by appointment only. We care about our members here at AMP Academy and we believe that everybody should be able to enjoy the benefits of physical fitness and living a healthy lifestyle, which is why we aim to provide the best quality instruction in a clean and safe facility to help our members reach their fitness goals at the lowest rates possible, and we’re always trying to help you save money. Check out our tuition rates and be sure to ask about our referral reward on your next visit. 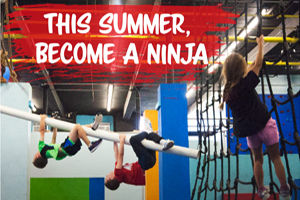 Unlimited access to all Ninja Warrior, Capoeira, Parkour classes, and Open Gyms. * A one-time $40 registration fee applies upon first monthly sign-up. All students under 18 years old require a parent or legal guardian present to register. ** Ages 7 and up. Everyone under 18 years old must take at least one class before being allowed to participate in open gym. Or any other event you can think up! Get to know AMP Academy’s instructors by checking out their personal bios, which detail their qualifications in their field and say a little about who they are outside of work. Kids Fitness Goes Beyond Team Sports! Be the Cool Parent! 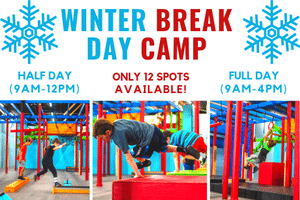 Winter Break Day Camps! 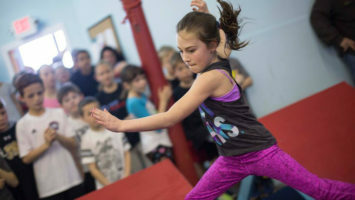 Ninja Warrior, Parkour, Martial Arts (Capoeira), Nerf, and more! This place is awesome! The people are awesome! It is such a great place to work on you ninja, parkour, capoeira, and much more. Josh and his crew are constantly upgrade and building new obstacles. Ever time I go the class we do completely different obstacles. I walk out of AMP feeling sore but good because I made progress on stuff that I could not do before. So whether you are a beginner or ninja veteran there is something for everyone at AMP!! AMP is the definition of “Judgement Free Zone”. The instructors are all wonderful people that do nothing but encourage you to push your limits and compliment you every step of the way. I have been going for a few months and don’t think I have ever had so much fun getting back into shape. 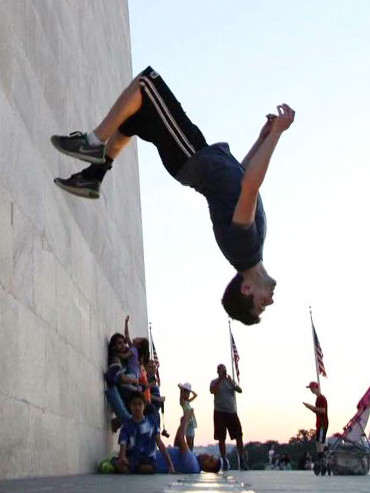 Both the Parkour and Ninja Warrior classes are designed for both beginners and veterans of the trades alike, allowing a crazy variety of skill levels working together and learning from each other. 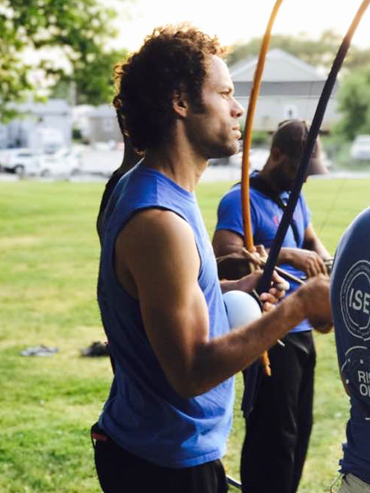 Even the recently started Capoeira classes work for both beginners and veterans, so anyone can step into the class, have a blast, and get a great work out to boot. I greatly recommend taking a class here if you have not already. Our entire family is loving AMP. We’re here 4 times a week now with all 5 of us in classes and coming to open gym. Joshua is great with my kids, one of whom has a sensory processing disorder and anxiety. He is patient but firm and helps her focus and keep trying even when she panics that she’ll never get it. I would recommend AMP to anyone, adult or child, who wants to build useful muscle in a fun way and learn awesome new skills.